In recent times there has been more awareness of the need for post-natal recovery and support post birth for the new mother. Post birth recovery not only includes recovering from the birthing process, but also the previous nine months of pregnancy of growing and carrying a baby. Unfortunately, there is not a big emphasis on post natal care in our culture. However in more traditional cultures women are supported by family and friends after giving birth, allowing for an adjustment period of becoming a new mother. They are fed nourishing foods and herbs to clean and rebuild their health and well being. There is help around the home and women are cocooned for about a month allowing a bonding period between mother and child. Being pregnant can put a strain on women. There may be a number of circumstances that may limit a woman’s capacity for recovery after pregnancy and birth. It may be constitutional or functional weaknesses. It could have been difficulty conceiving and having assisted reproduction therapy. It may be having many children close together. It may even be difficulties during pregnancy or the birthing process, birth trauma, interventions or complications. Previous miscarriages, being an older mother, having a weak constitution or even having inadequate post-natal support may predispose women to a greater risk of post-partum symptoms. The birthing process takes a lot of energy for mother and child. After all, it is not called labour for no reason! During birth women exert an enormous amount of energy, they experience sleep deprivation and blood loss. Some women are able to bounce back quickly and naturally after pregnancy and birth. Others struggle with the new demands of motherhood, let alone with healing her body after the profound exertion of birthing a baby. Post birth new mothers nurture newborns through breast feeding, care for their every need, and may experience exhaustion due to lack of sleep, still recovering from birth and fluid loss. This can lead to weakness, fatigue, feelings of hopelessness, anxiety and isolation. A postpartum care package utilizing Chinese medicine and oriental therapy has been designed to help support healing to recover from pregnancy and birth. It incorporates wise woman traditions to assist the new mother’s recovery of pregnancy and birth, to feel nourished and strength to nurture herself and her new child. It may include addressing physical complaints post birth as well as helping adapt to new responsibilities of having a new born child. This may include treatment for exhaustion, blood loss, insufficient milk production, fluctuating emotions and post natal depression. 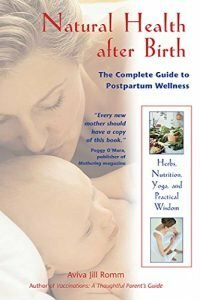 Natural Health after birth by Aviva Jill Rommis a fantastic book for postpartum healing. It not only talks about adjusting to the new role of being a mother, it also is a guide with how to heal after birth with recipes for healthy eating, herbal teas and even exercises. Definitely worth a read. I read it recently and was still moved by the kind gentle words she has for mothers even though my children are already nine! I have designed 2 post partum packages. This is for women who live close by to my clinic. It includes one ante-natal home visit for acupuncture post birth and herbal medicine. It includes a home visit as well as 3 acupuncture sessions in the clinic. This all may be an effective means of restoring a woman’s health post birth and therefore supporting her recovery. There is also the special post labour self-care warming moxa technique to assist in recovery. The Golden Month in Chinese culture is the month of supporting women through the post natal period. By supporting the new mum through this period not only is nourishing to her, but also to the new baby and the family as a whole. This package is designed for new mothers who do not live close by. They will receive a package in the mail for post-partum healing, and 4 skype consultations. Please email me for further details.